We hope by now you are feeling confident using myChoicePad. You should be! 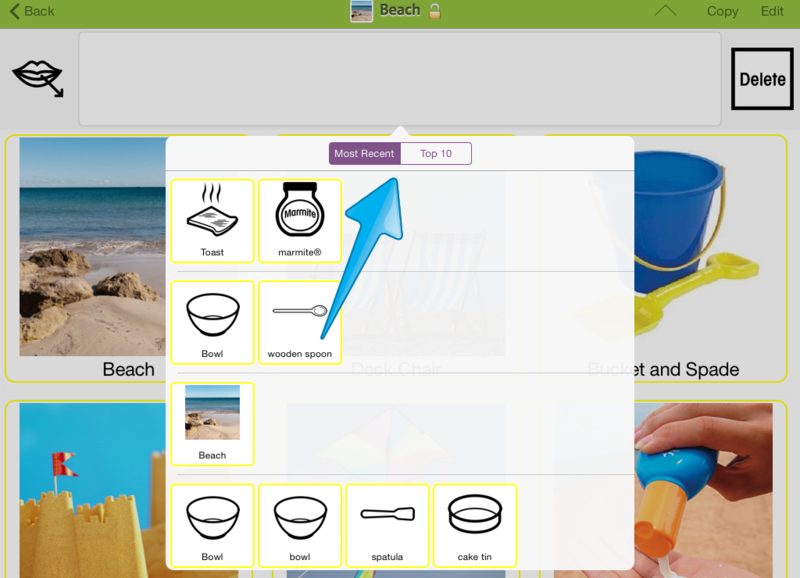 There are just a few extra features you might find helpful when using MyChoicePad. 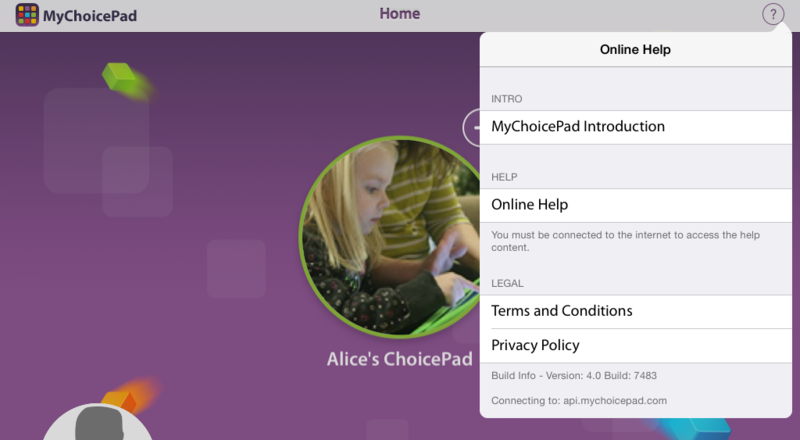 To ensure that you have access to all of MyChoicePad's latest features and any improvements made to the app, we recommend that you turn on automatic updates in the settings menu of your iPad. 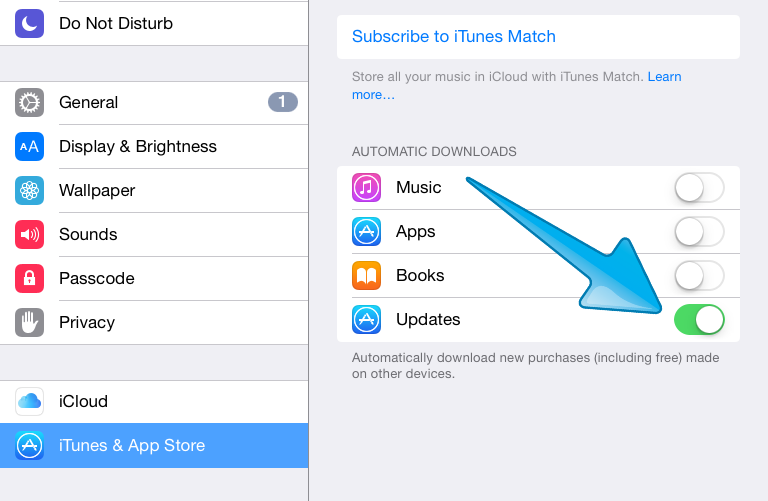 Simply scroll down to the iTunes & App Store tab in the settings menu, where you will find the screen below. Swipe right to turn updates on and this will mean that when your iPad is connected to wifi and has enough battery it will automatically update your apps for you. When you first click on to a user's 'Grids' page you will notice that it is locked, meaning your user is unable delete or edit anything. In order to unlock the Grids simply hold your finger over the Unlock button for two seconds or until it is unlocked. 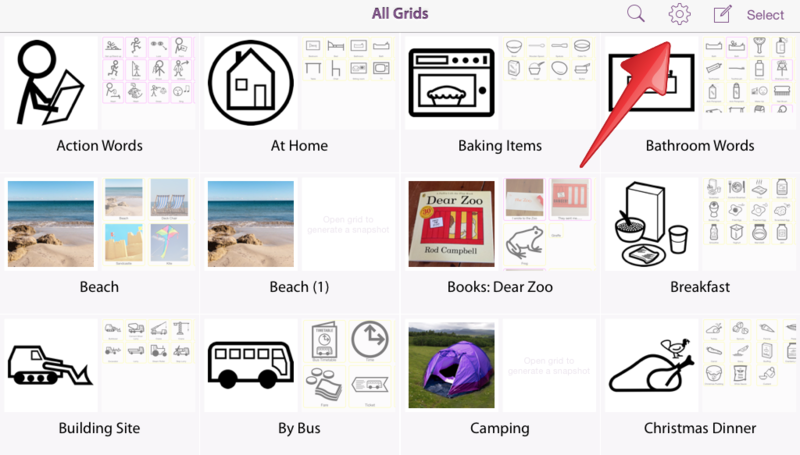 You are then able to choose new grids, create a new one or edit existing grids. If you want to lock the user from editing the Grids again, simply press the lock button which appears next to the buttons for editing the grids. You will also find that if your user tries to click off of their ChoicePad page that it is locked to prevent them from getting distracted. In order to exit their page and go back to other users simply hold down the lock button again. You are also able to add a passcode to the lock features on MyChoicePad for added security. 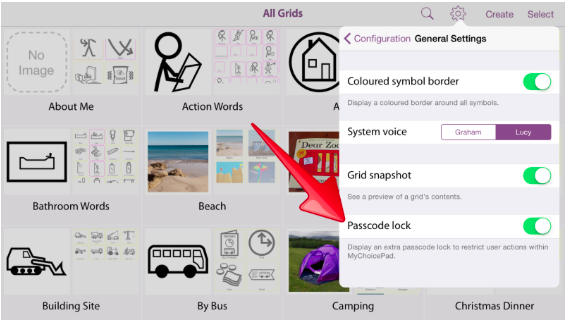 This can be done by going on to the settings menu in the 'All Grids' page and then 'General Settings' and turning the passcode lock on. You will then need to set your own four digit passcode for the lock and this will need to be entered each time you would like to unlock your user's ChoicePad. To remove the MyChoicePad passcode lock just simply go back to settings menu and turn the passcode lock off. You will have to re-enter the passcode you chose to do this. If you have forgotten the passcode that you set, don't panic! 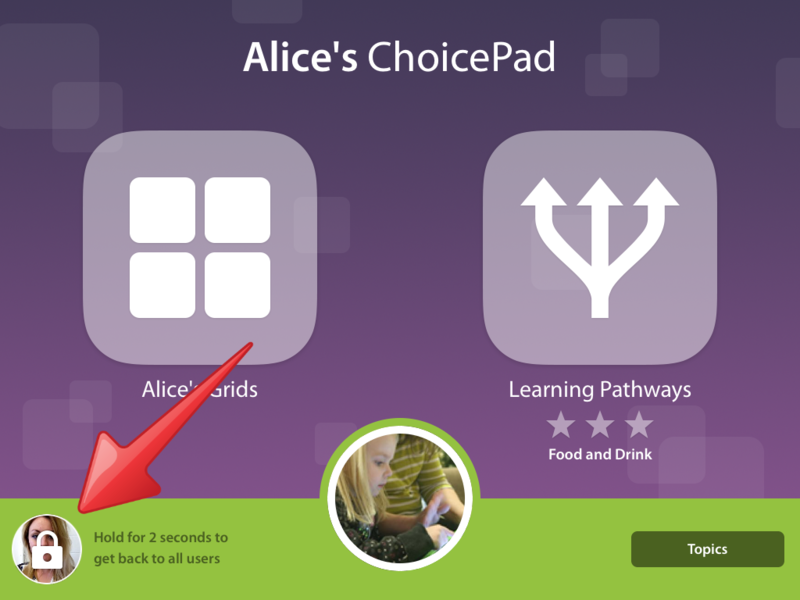 Simply go on to the settings for your iPad and scroll down to the MyChoicePad section. Here you are able to delete the passcode that you originally set and re-enter a new one. When you are in a grid you can swipe down from the sentence bar with 1 finger to bring up the options of your 10 most recent sentences or your top 10 most used sentences. If you then select a sentence this will populate the sentence bar which saves you from having to type the sentence again. 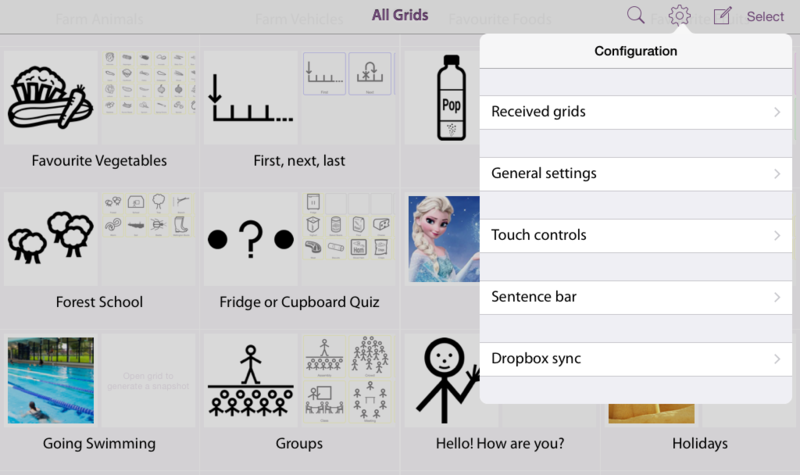 When you are in the 'All Grids' section you can click on the 'Cog' icon to access the MyChoicePad settings. 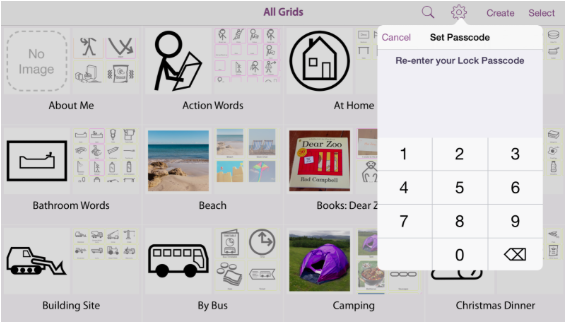 In the settings menu you can view your received grids if you have been sent any and make changes to the general settings (colour and voice), touch controls, sentence bar and dropbox back up. On the home screen there is a '?' 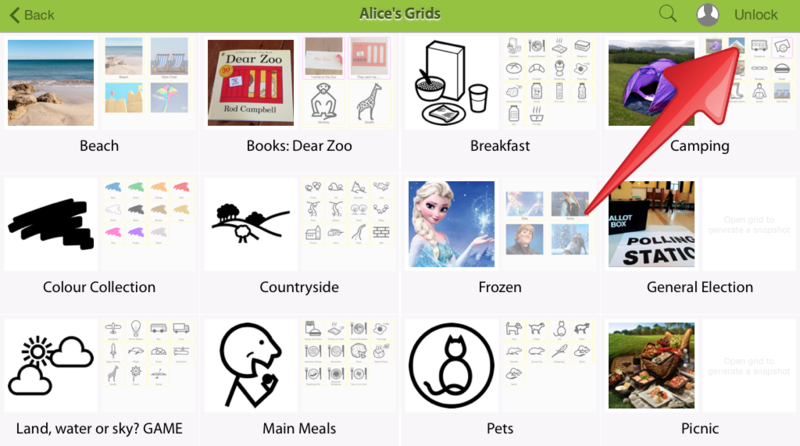 icon in the top right corner which you can click to access further MyChoicePad support resources on the MyChoicePad website. These include videos, workbooks, activity ideas and FAQs. You can also always contact us via our website and by telephone if you have any questions that these emails or the support pages haven't answered.